Rare contact with remote Amazon tribe Jump to media player A group of previously isolated indigenous people from the Amazon has come face to face with a settled community of villagers for the first time in the Brazilian state of Acre, according to authorities. The opera house in the Amazon Jump to media player The man who has spent 40 years working at Manaus Opera House, in Brazil's Amazon rainforest region. An indigenous group in the Amazon is taking a stand against Brazilian government plans to build a series of dams which threaten to flood their land. Over the last few months thousands of Munduruku have been protesting against the proposed hydroelectric dams on the Tapajos river. 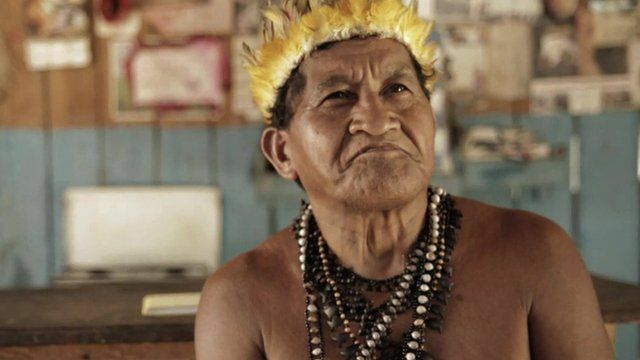 BBC News met some of the Munduruku people to hear why they oppose the plan.